What happens when traditional Sami music meets mainstream western sacred music? This is the question Cantus meets head-on in 'Spes'. Under the direction of its conductor Tove Ramlo-Ystad, and in collaboration with composer and musician Frode Fjellheim, the choir explores a new and little-known musical world, a world with a wide range of emotions: sorrow, joy and vulnerability. 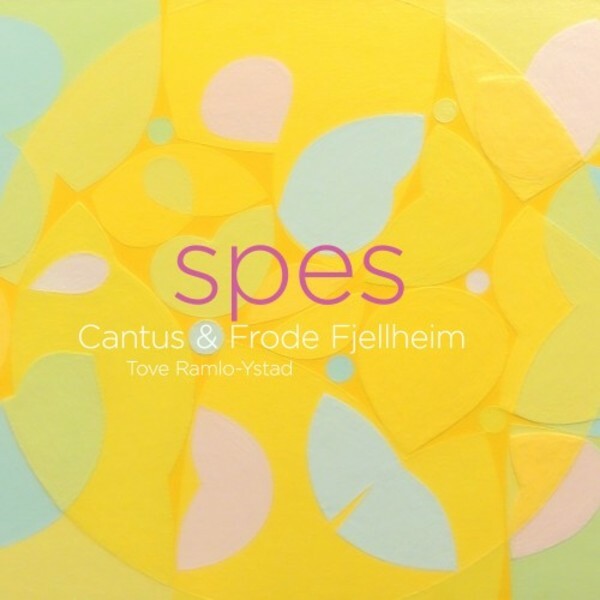 Through these songs, sounds and musical forms - some familiar, others scarcely known - Cantus challenges both itself and its audience with a repertoire which, while being striking in its variety, is united in one thing: its expression of hope in the music by Frode Fjellheim, Mia Makaroff, Eriks Esenvalds, Eva Ugalde, Ko Matsushita, Knut Nystedt, Franz Xaver Biebl and Kim Andr� Arnesen.